Here are a few of my thoughts on technologies and approaches for achieving better data processing performance in the current technology landscape. Using mySQL or another RDBMS, performance might be addressed with better indexing or by partitioning the data. A non-relational approach might be to useHadoopor one of its distributions (such asCloudera). This would allow processing to be distributed anywhere from 3 local machines, or a virtually unlimited (hundreds+++) number of machines on the cloud (such as Amazon EC2). But this is best suited for analytic and data processing tasks that can takes several minutes or hours. THE BEST OF BOTH WORLDS?! 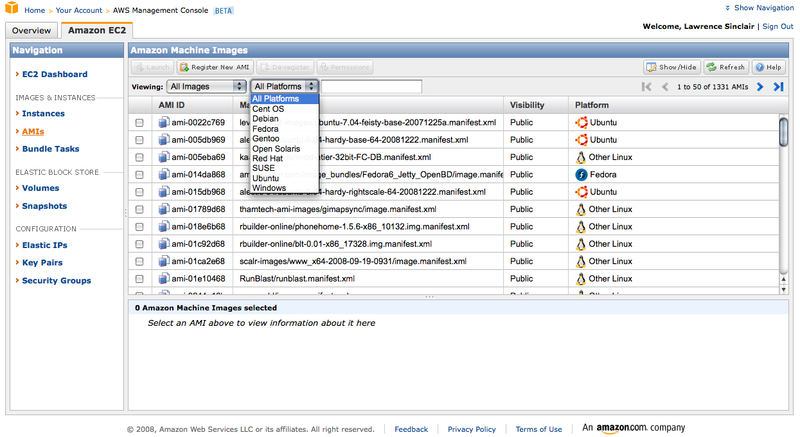 Amazon's management console for EC2, now makes it easier than ever to enter the compute cloud. Selecting a machine image and launching and monitoring an instance of a virtual machine is now an intuitive visual experience.